Ian Knight was in London to see this pair of DRS Tractors. Crewe via pick up stations to Wembley Central - Kensal Green turnback (rev) - South Acton - Clapham Junction - Brixton - Blackfriars (rev) - Nunhead - Lewisham - Hayes (rev) - New Cross - Cannon Street (rev) - Lewisham - Beckenham Jn (rev) - Tulse Hill - Battersea Loop (rev) - Peckham Rye - London Bridge (rev) - Tulse Hill - Selhurst - Epsom Downs (rev) - Mitcham Jn - Herne Hill (rev) - Crystal Palace - East Croydon - Tattenham Corner (rev) - Selhurst - Clapham Junction - Brixton - Leigham Curve - Clapham Junction - Kensington Olympia - Willesden - WCML back to Crewe. 47802 Pride of Cumbria was stored in the last week, it may be used as a carriage heater at Carlisle, but the end seems close. 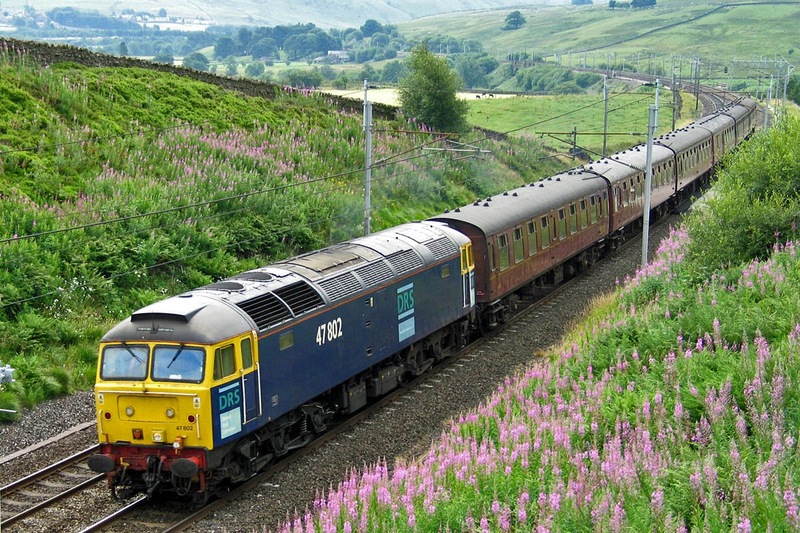 Climbing Shap on 26th July 2006, with West Coast stock, near Greenholme. These trains were trainers to refresh drivers for handling passenger carriages. 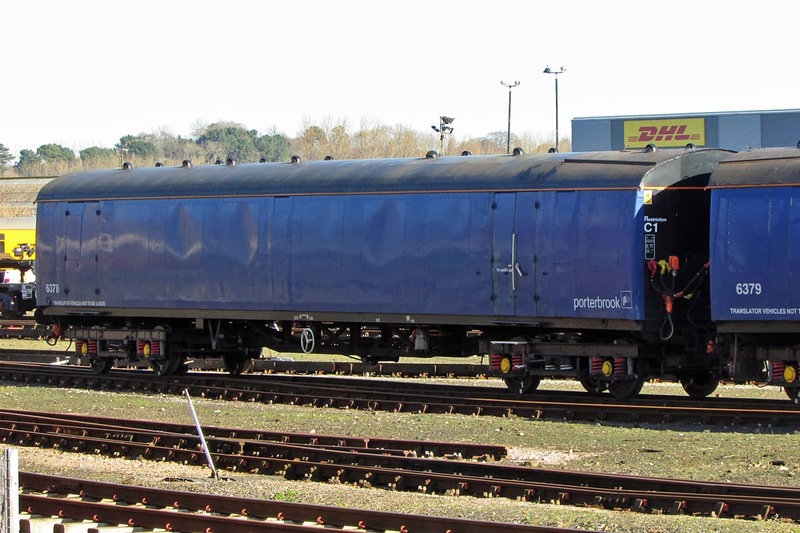 On the tail of the short lived "Stobart Pullman", Havant, 12th February 2008, having been named two days previously. 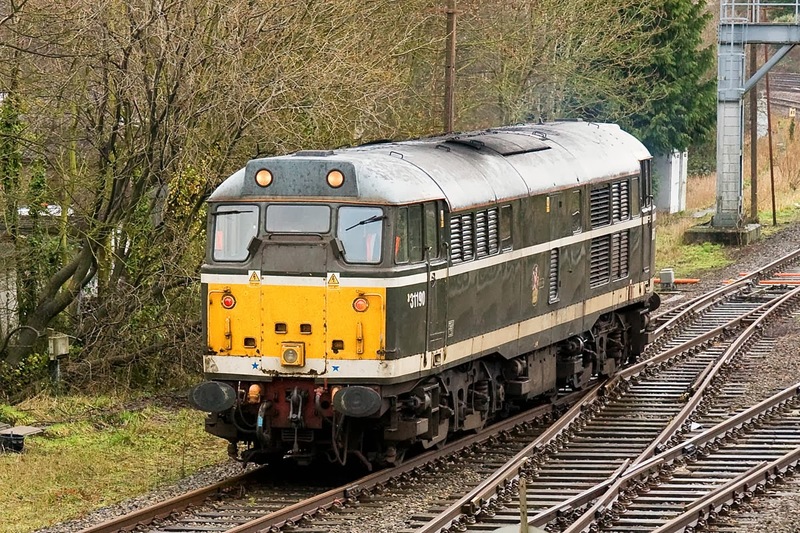 Later in 2008 , 47802 received attention at Eastleigh as the Pride of Cumbria, seen there on 14th December that year. Passing Crampmoor leading a Rail Blue charter, 14th August 2010. 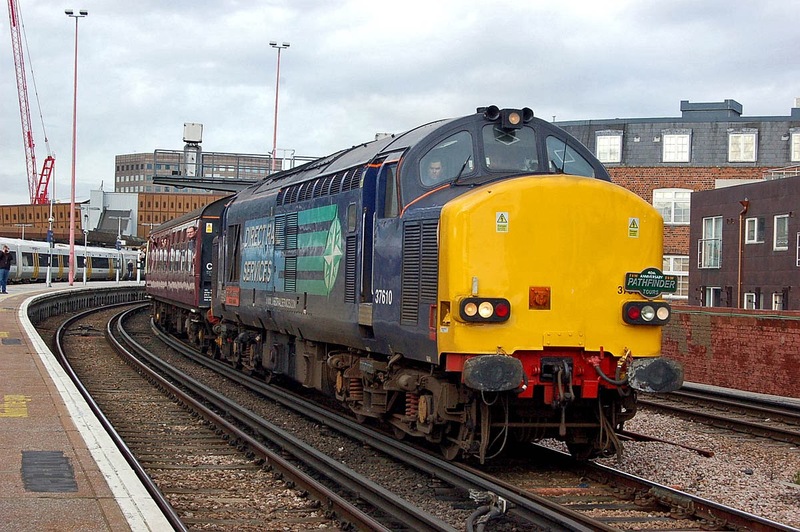 At Eastleigh with ECS for the "Cruise Saver Express", 17th September 2011. New and to traffic from Brush on 9th September 1966, as D1950, allocated to LMR (Western Lines). 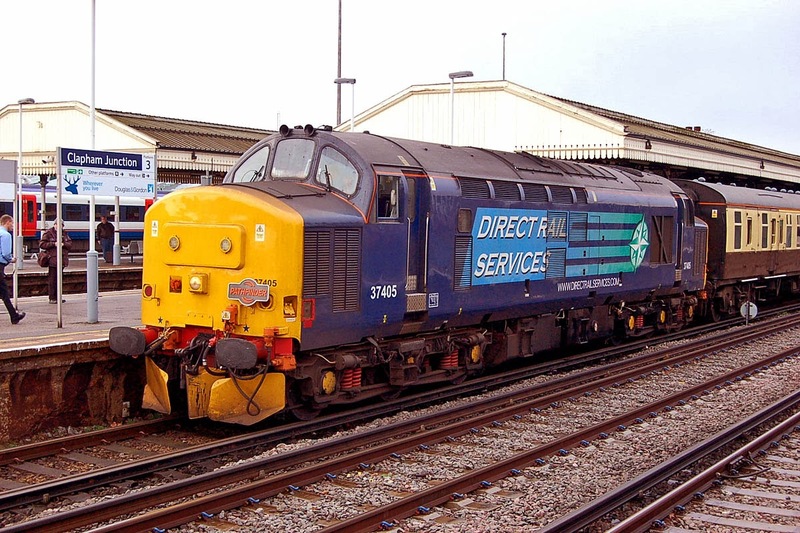 Renumbered to 47552 in March 1975, then to 47802 in July 1989. From 1995 to 1999 it saw periods in storage, which continued until 2002 when sold to DRS, entering traffic with them from March 2003. On N/SPT special tests from 16th January, then to storage pool XHSS from 24th, having worked with 37261 to Barrow Hill on 20th, returning to Crewe Gresty Lane. It is understood that heavy checks were due. 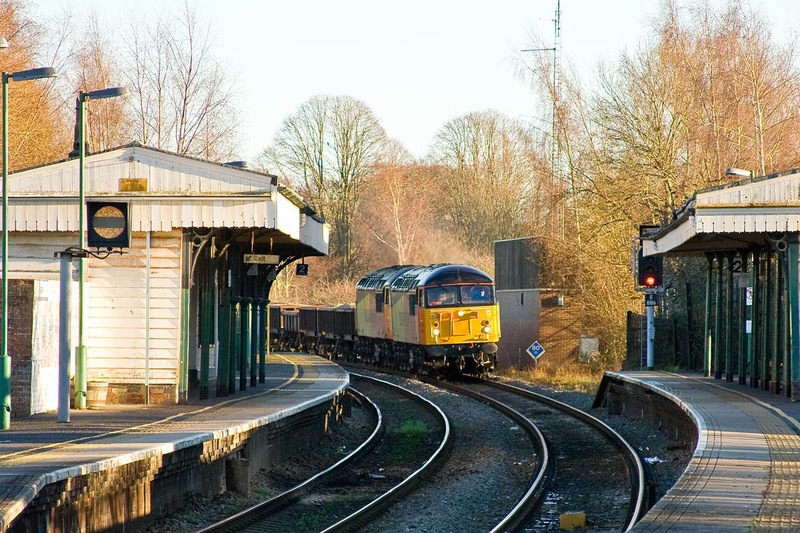 60045 at St Denys, 23rd January. Image by Ian Knight. 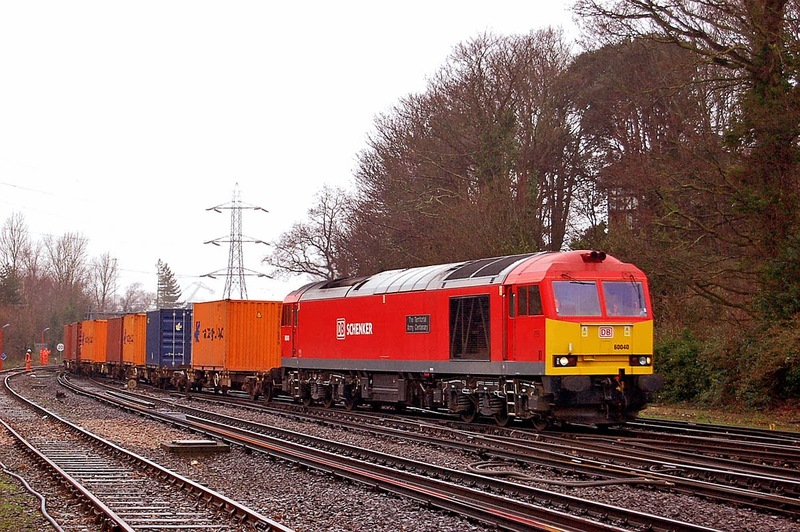 60040 at Southampton with Western Docks - Eastleigh working, 24th January. Image by Ian Knight. 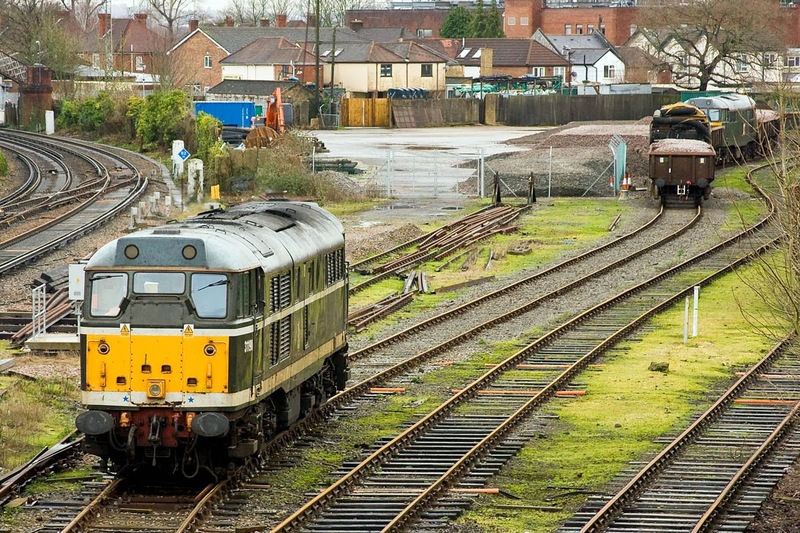 37261 made its own way to Barrow Hill for stripping on 20th one two . It travelled with 47802, which itself was stored into pool XHSS, and may become a carriage heater at Kingmoor. 47501 / 790 / 805 / 810 / 813 / 818 / 828 / 832 / 841 / 853 . 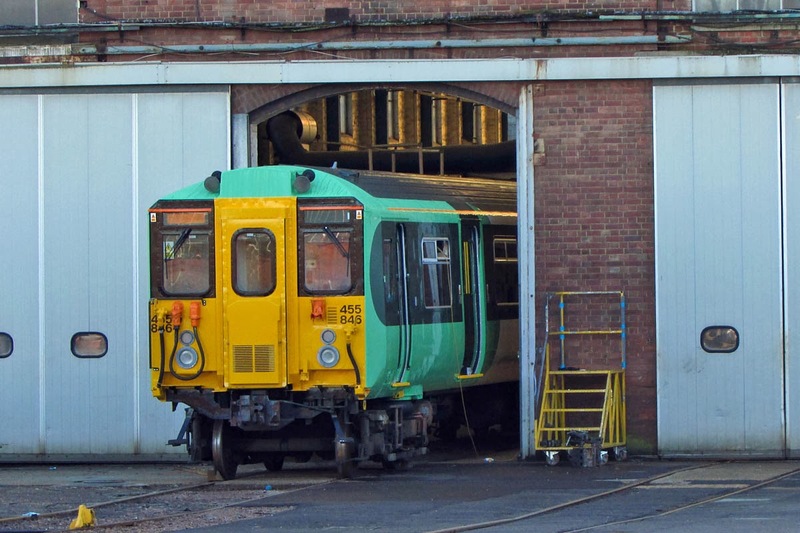 On 3rd January two EMU cars were moved to Eastleigh for a unique project, their un-refurbishment. Here is presented what may be a last look at them in the refurbished condition with hopper windows. More details at the cep7105.co.uk website. 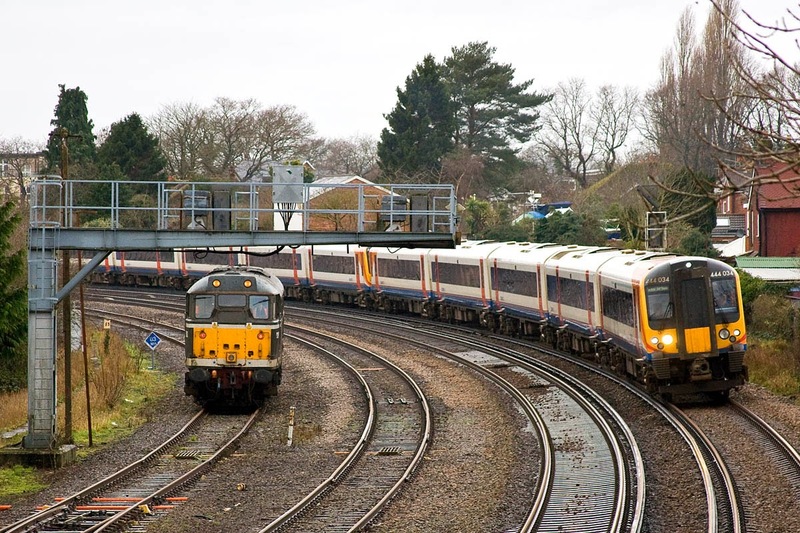 7105 was the first production 4-CEP, ordered for phase 1 of the Kent Coast Electrification. built new at Eastleigh Carriage Works, emerging from there to enter traffic in August 1958. 7105 was refurbished at BREL in Swindon, returning to traffic as 1537 in January 1982. In September 2002 the power cars and coach 70235 were reformed into 4-BEP unit 2325 with TRB 69345, running until withdrawal in December 2003. 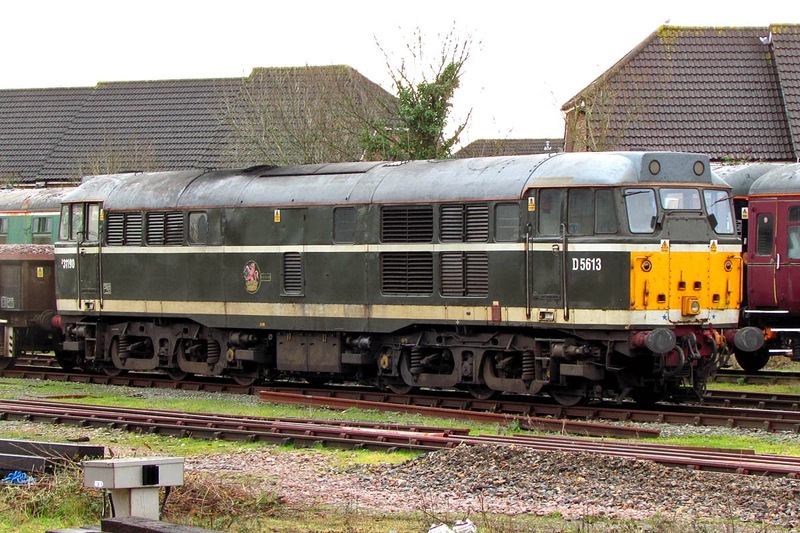 2325 was then preserved on the East Kent Railway from 2004. The other original coach from 7105, TS 70229 is in unit 2315, preserved at the Eden Valley Railway. Each of these coaches is running on a combination of one Commonwealth bogie and one Mk 4 motor bogie, which is the orginal type. 4-CEP front end detail, not seen at Eastleigh for some years. 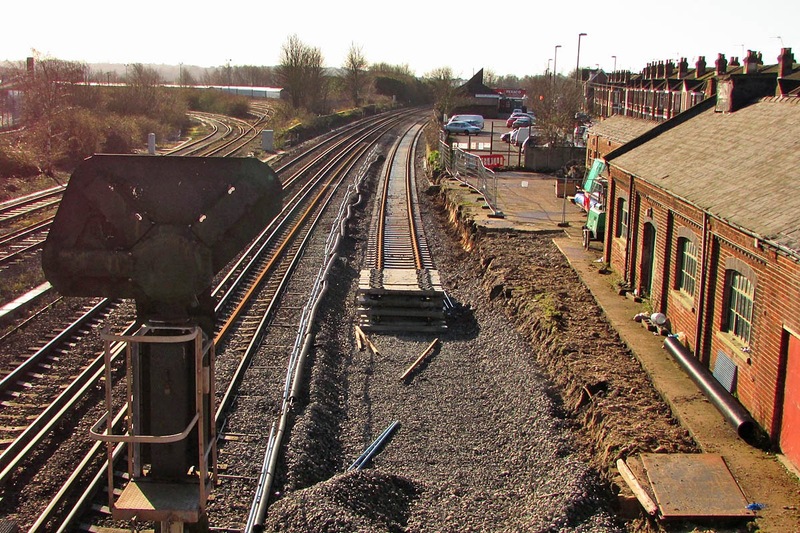 Construction of the re-instated up loop, due to be in usage by May. 30 years ago this spot was used for van storage one two. The signal will need to be moved. Barrier coach 6378 is an emu translator vehicle for class 313/315, converted to ADB975971 and to traffic May 1981 from Restaurant Unclassified Open 1054, originally built at Wolverton in 1961 and withdrawn in 1979. Renumbered 6378 in March 2003. 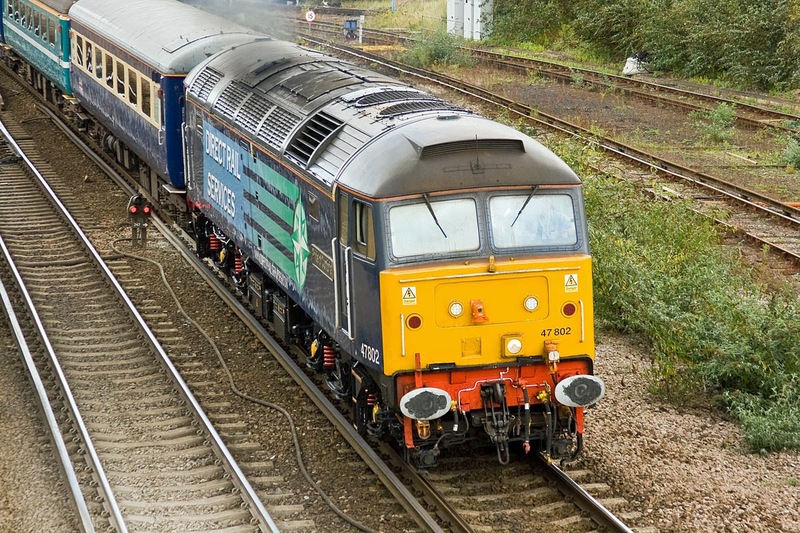 6378 and 6379 was used for the class 458/5 move from Doncaster to Wimbledon on Friday night hauled by 47739. LT C69 6518 for scrapping. Withdrawn this month and to Northwood on 10th. 455846 was new in July 1983, so now over 30 years old. 4-SUBs did not last much longer than this - although some 4-SUB traction motors are under Class 455s. 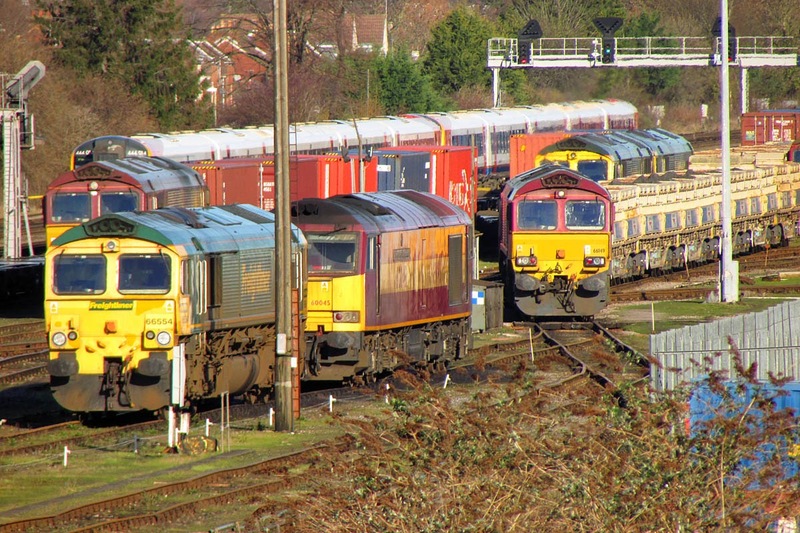 66076 66955 and 66554 are visible as part of a group of 6 Class 66's and Class 60. 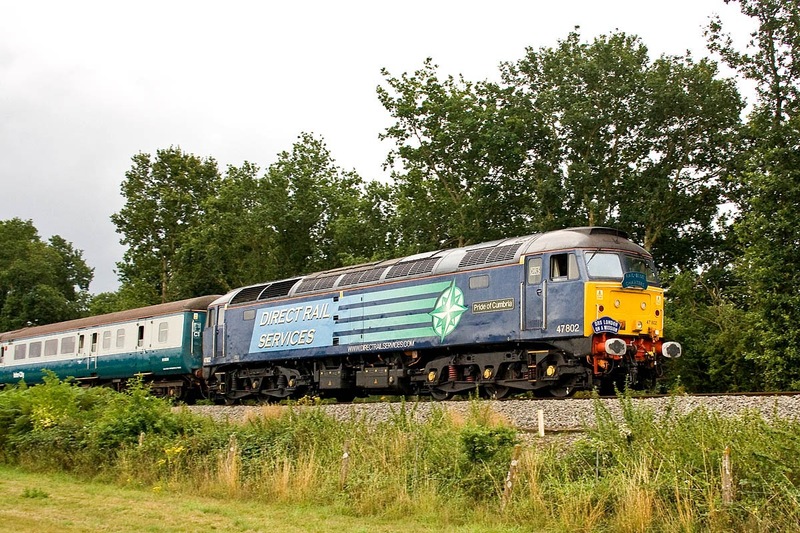 Changing angle brings 60045 and 66149 into view. 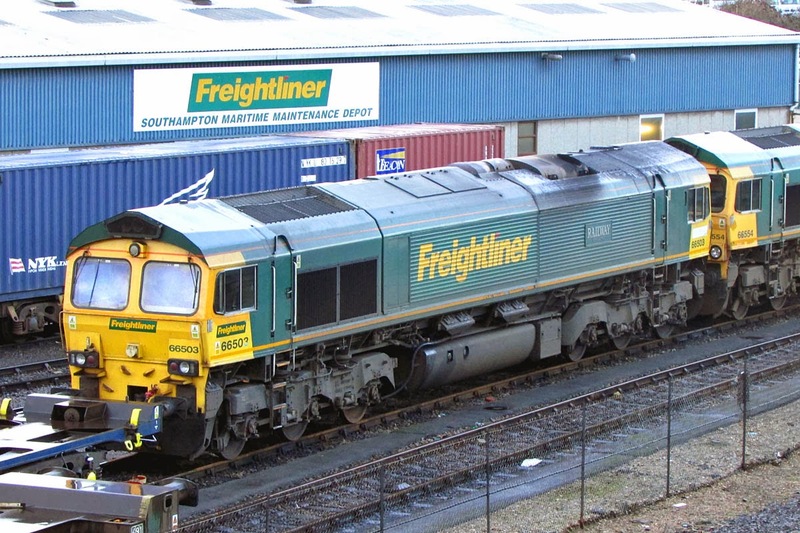 Two pictures taken overnight of 68002 being driven through Southampton under wraps. Reported to have reached Kingmoor by early afternoon - as seen here. 31190 ran down from Eastleigh to Totton this morning, where it rejoined the Railvac and 31452, ahead of expected nocturnal duties tonight. 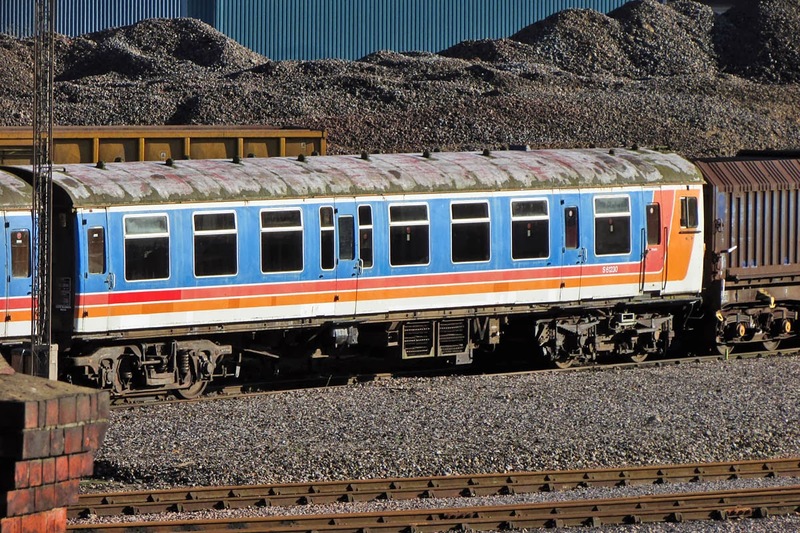 There is a rumour that 31190 will be repainted into a DCR scheme, so this may always be a last opportunity. 31190 had not left Eastleigh when I left home, but did work early, as I had kind of guessed, even then it arrived just as I was walking close to Asda. 31190 has arrived and the points are set to enter the yard. 444034 passes with a train to Waterloo. 31190 now moves into the yard. About to join the Railvac train with 31452 already attached. 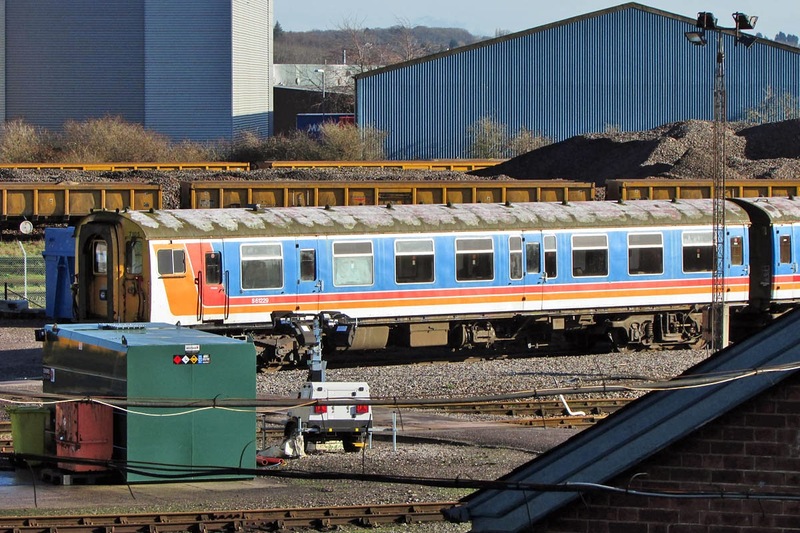 A few minutes later, 31190 is in repose in Totton Yard. As D5613 the locomotive was new in May 1960 to 34G Finsbury Park, but was of course Mirrlees powered at that time. 60015 on Wednesday 15th. Image by Ian Knight. 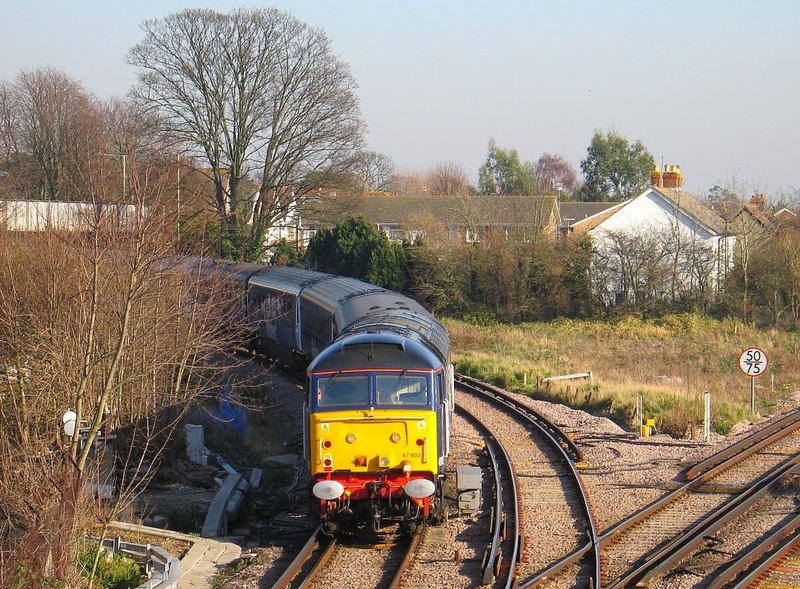 70016 at Maritime, 17th January. 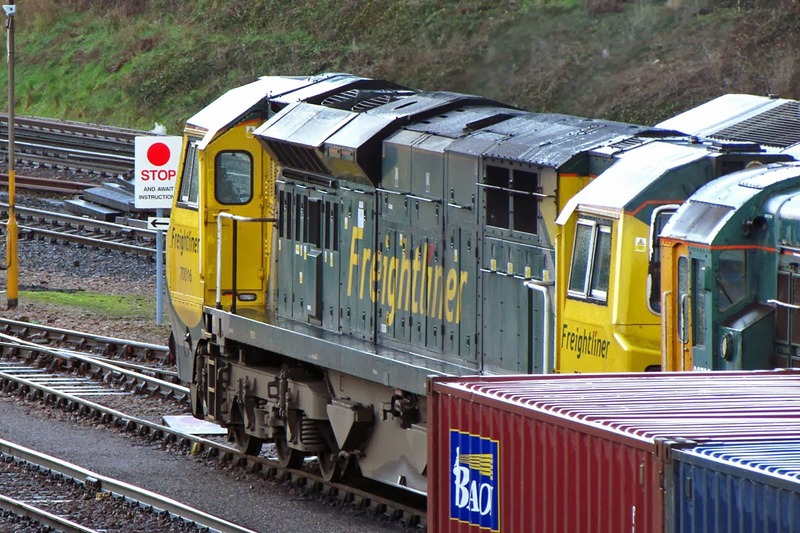 70015 & 70016 were moved to pool DFGI for Freightiner intermodal from about 9th December. 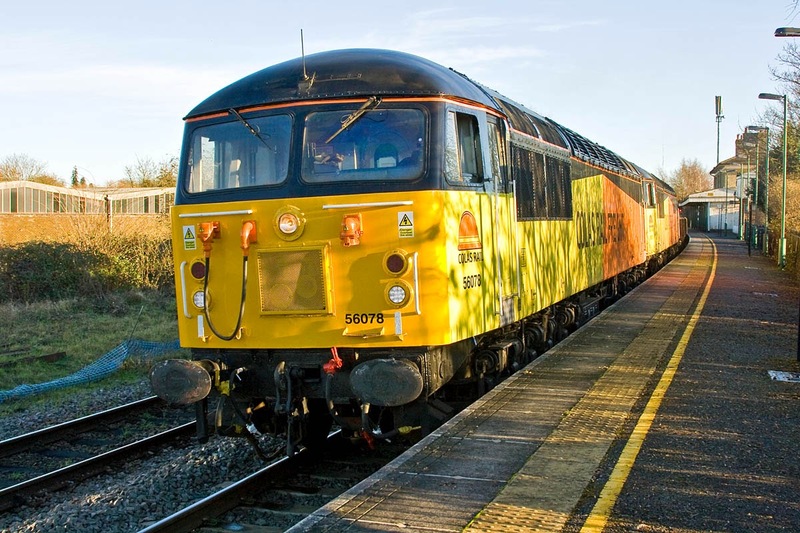 66503 The Railway Magazine, Maritime, 17th January. 56078 + 56113 approach Romsey with 6Z31 14:30 Eastleigh - Westbury. 56078 arrived here in the south for the first time this week since its reinstatement. 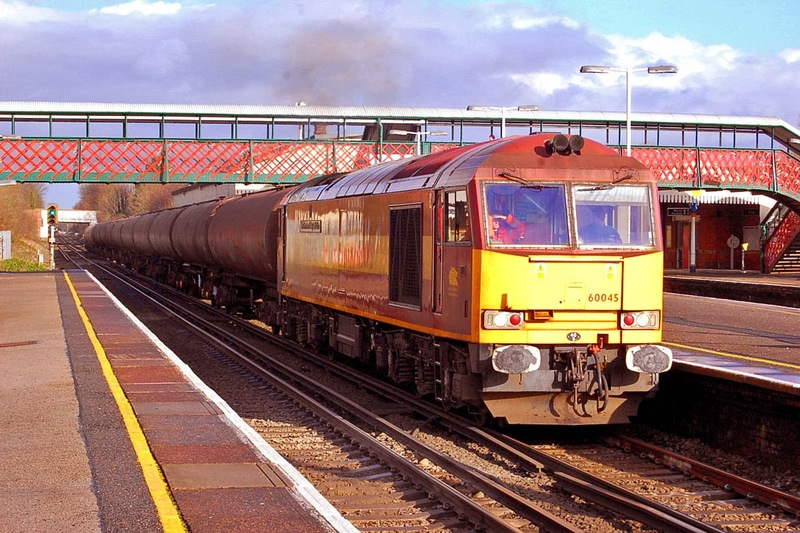 Almost 10 years ago, between 14th & 18th February 2004 it made an unexpected series of workings from Eastleigh. The pair of 56s were rolling towards a red on signal E885, but changed to green just before the train stopped. They resume on their way to Westbury. 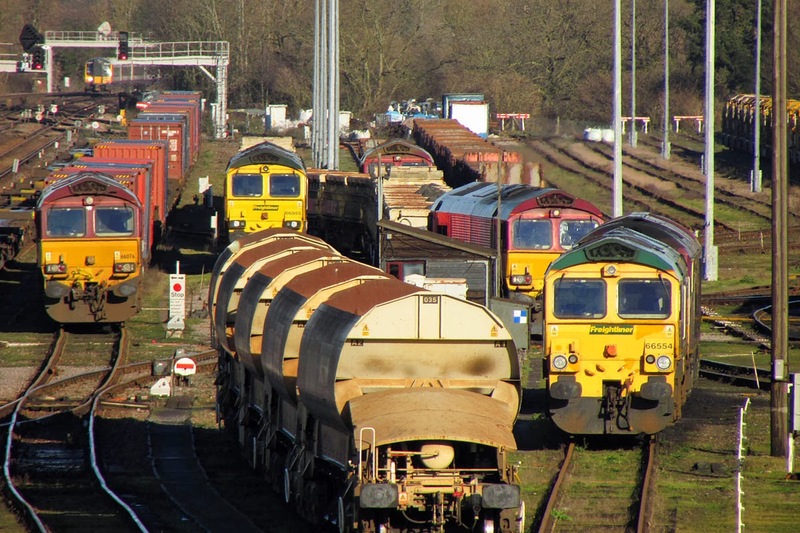 Half an hour later, 66623 Bill Bolsover passes with 6O49 12:40 Theale to Wool sand empties. 56078 was new to traffic from Doncaster on 25th May 1980, and was withdrawn by EWS in April 2004 from Knottingley as surplus to requirements, having paired with 56115 (now in Hungary) on the farewell railtour. Repainted in large logo and named Doncaster Enterprise in September 2003. In Fertis service in France from September 2004 and returned to the UK in April 2007. 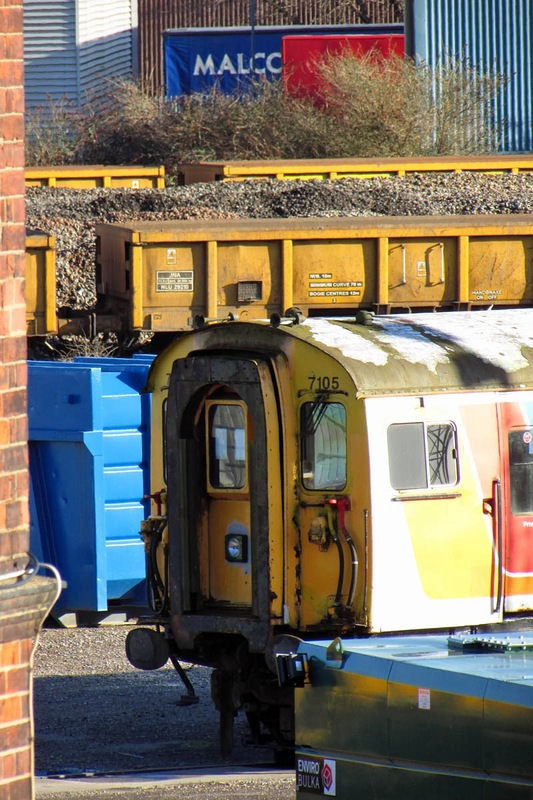 Sold to EMR in December 2011 while at Crewe, and delivered to Kingsbury scrapyard on 20th April 2012, seen there in July. Registered to Colas at end of July 2012, removed on 15th August 2012 to Washwood Heath. 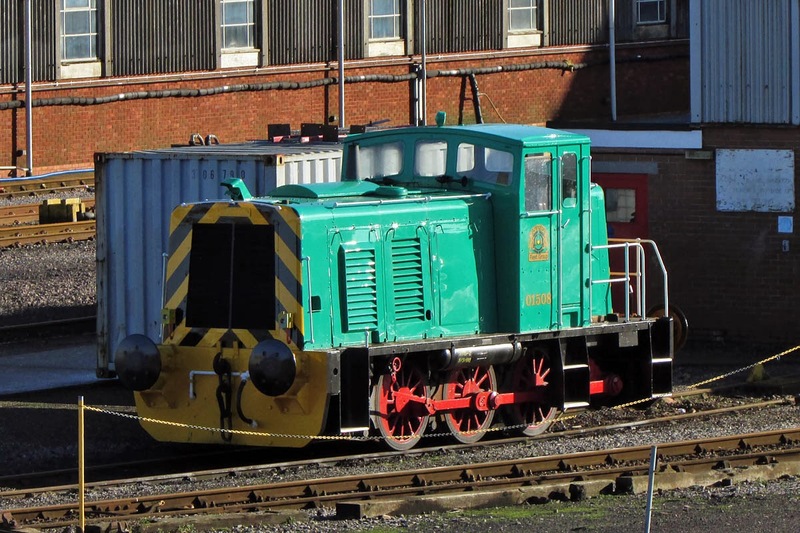 Stored at Rugby from 4th September 2012, returned to Washwood Heath on 27th October 2012. 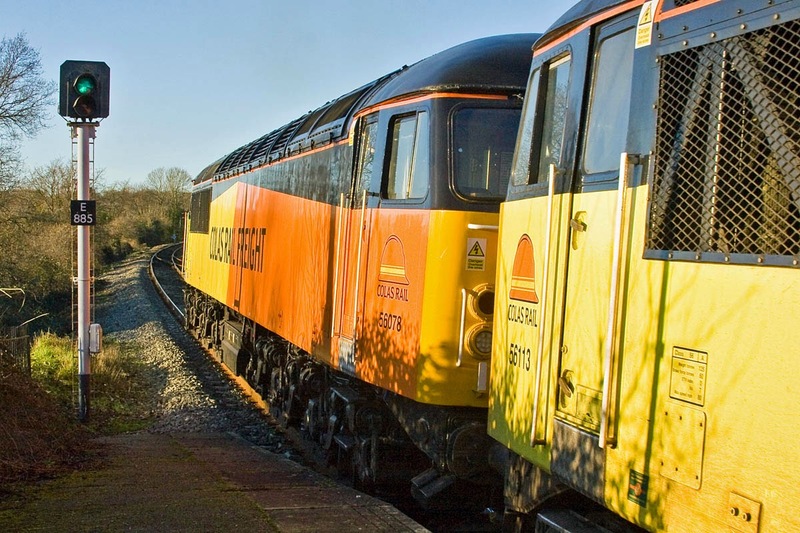 Test runs by Colas started in December 2013, and the locomotive was back in traffic only from 6th January, generally working with another Class 56 in the shake-down period. 56113 was new to traffic from Doncaster on 12th December 1982, and was withdrawn by EWS in March 2004 from Knottingley with defective fire protection equipment. 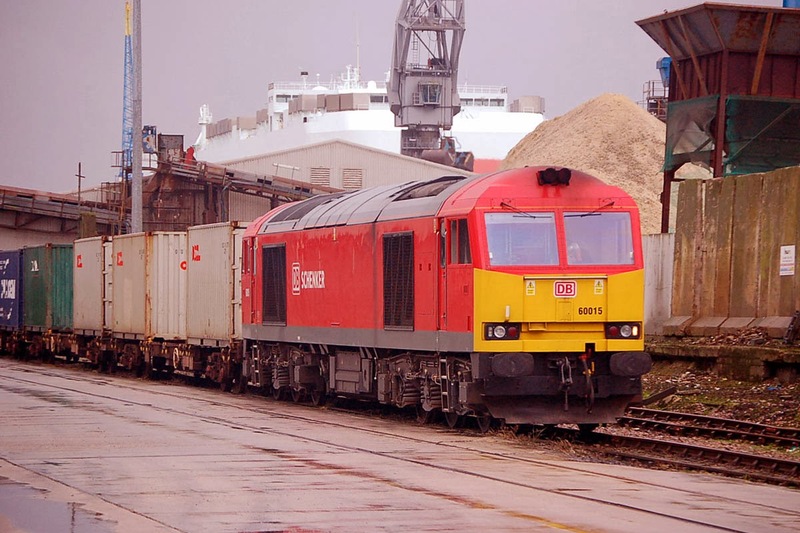 In Fertis service from November 2005 to October 2006, then stored at Old Oak Common until removed to Crewe on 15th May 2009. Sold to EMR in December 2011, then to Colas in February 2012. 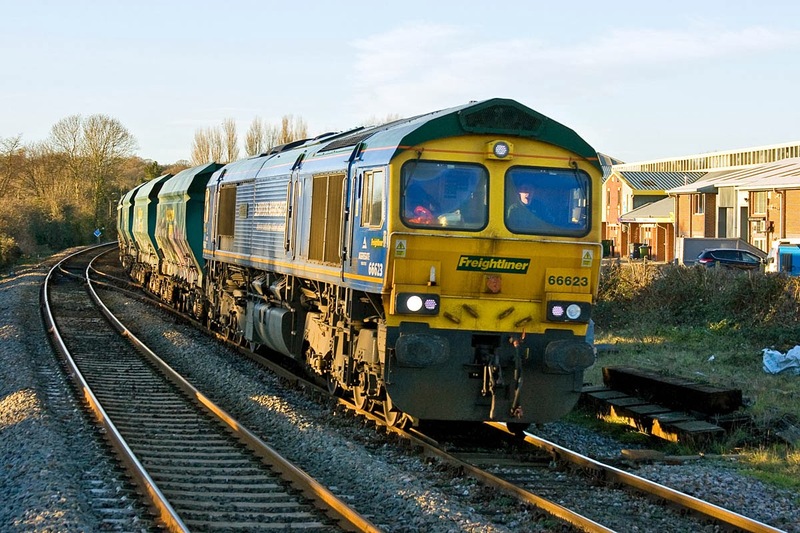 Removed from Crewe to Washwood Heath on 1st March 2012. 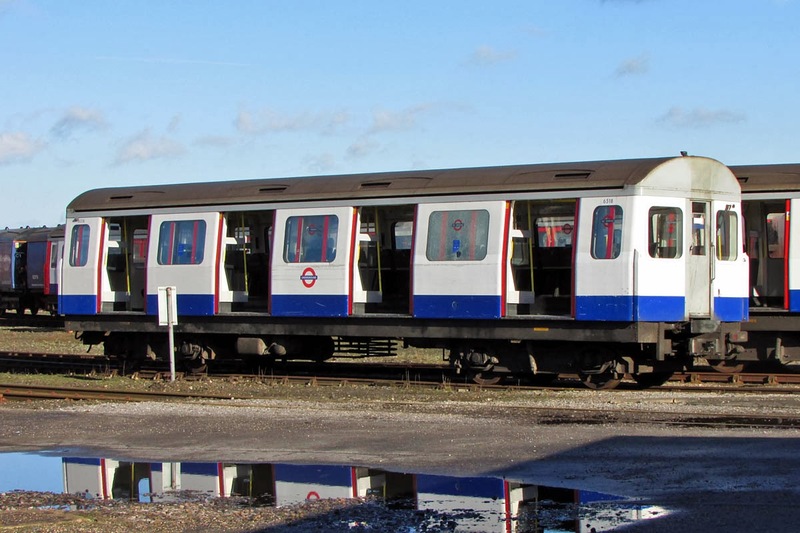 Tested to Willesden on 4th October, then to Boston, and placed into normal operating service at the end of the month, mainly from base at Westbury. 56312 failed at Lancaster and Preston on 2nd January while southbound to Totton with the Railvac from Scotland, and was recovered to Washwood Heath by 57311. 56312 + 31452 again failed in Birmingham area.